Great way of serving kiwi with twist from the regular routine. 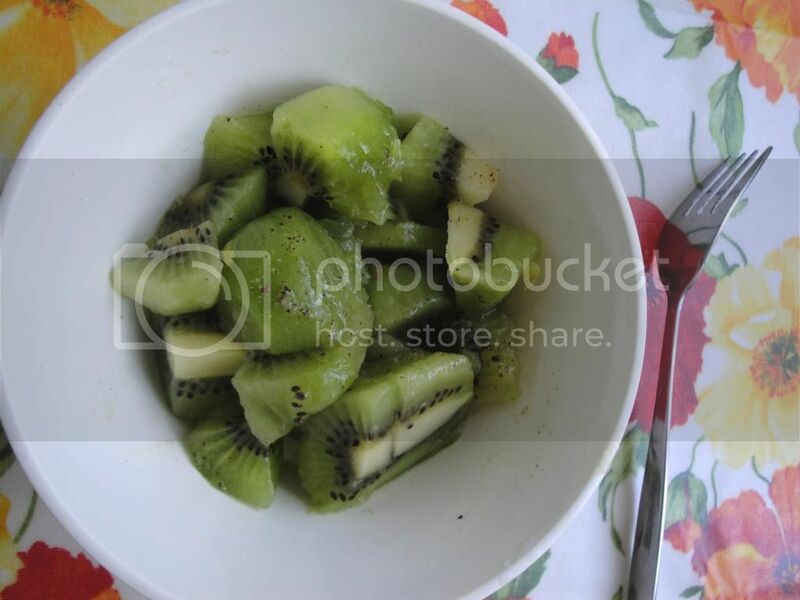 Cut the kiwi & sprinkle some salt & pepper to taste. Serve immediately. Why you should include Kiwi in your daily diet ? Kiwifruit aptly called a ‘nutritional powerhouse’ is a great source of dietary fiber, potassium, folic acid, Vitamin C and E, carotenoids and antioxidants. It is packed with more vitamins and minerals per gram and per calorie than 27 of the most popular fruits. This is good news for 43 percent Asians who take dietary supplements to address health concerns. SUNDAY: After feasting on a Sunday it is time to give your tummy some rest. Kiwifruit with 2.3g of fiber aids digestion and ensures faster metabolism which helps in speedy removal of toxins from the body. It also reverses constipation and brings relief from the bloated feeling. MONDAY: Begin your Monday with bursts of the refreshing sweet tanginess rich in Vitamin C.
Kiwifruit has 2 times more Vitamin C than oranges. One Kiwi a day will strengthen natural defenses for everyday protection against infections. This is a boon for most Indians who are prone to cold, cough and flu-like conditions due to weak immunity and low nutrient intake. TUESDAY: Vitamin E on a Tuesday for a younger and healthier you. Kiwifruit with high levels of the fat-soluble Vitamin E anti-oxidant protects our body against harmful free radicals and slows the aging process. It also helps in healthy red blood cell formation and fights age-related macular degradation, reducing the risk of blindness. WEDNESDAY: Keep the momentum high with magnesium for healthy heart. Kiwifruit has high magnesium content. Our body needs an adequate dose of Magnesium to balance more than 300 biochemical reactions and for normal muscular and nervous functions. It keeps the heart rhythm steady, builds immunity and strengthens bones. Magnesium also regulates blood sugar levels and normal blood pressure and is involved in energy metabolism and protein synthesis. THURSDAY: Kiwifruit, chock-a-block with antioxidants. Antioxidants in this fruit protect cells against the effects of free radicals, produced by the body when food breaks down, or by exposures to tobacco smoke and radiation. Research shows that the total anti-oxidant activity in 50mg of Kiwifruit extracts 96-98 percent of the total requirement. Antioxidants help restore the damaged cells in the body and reverse the aging process. The antioxidants have a preventive effect against cardiovascular diseases. FRIDAY: Kiwifruit for a slimmer you. Low glycemic index (48.5 percent) of this fruit keeps blood glucose levels under check, lessening the risk of diabetes. Low sodium and low-fat content of the fruit reduces cholesterol levels. It is an important component of a diet and combined with sufficient fluid intake and exercise, it is a perfectly balanced way to maintain weight and everyday wellness. SATURDAY: Bond with your family on a Saturday relishing the family fruit. Kiwifruit being a good source of folic acid is must for pregnant women who need about 400 to 800 mcg for a healthy foetus. Folic helps brain and cognitive development and improves cell repair and formation. 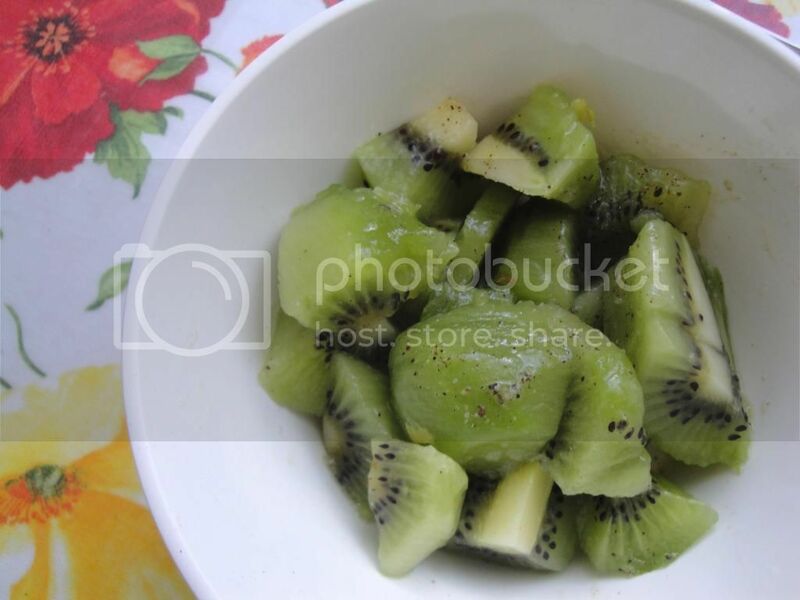 Kiwifruit based recipes are an amazing treat for children as well. For a quick snack on-the-go, simply slice the kiwis in half and scoop the delicious fruit with a spoon.